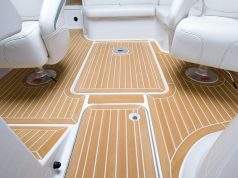 The need for fresh air below deck is crucial to a boat’s livability, particularly in the heat of a typical Florida summer or during that annual Bahamas cruise. Some designs are more “ventilation-friendly” than others, but internal air flow aboard any vessel can be improved, often with minimal expense and effort. 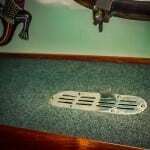 Here’s a look at ventilation basics along with some common sense tips to integrate them into your own boat. Ventilation systems come in two styles—active or passive. Active systems use an electric fan installed in the vent body to move air. 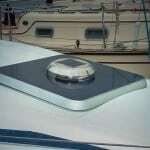 While some are powered by your boat’s 12 VDC system, many are solar-powered. The ubiquitous solar-powered mushroom vent is a good example of an active vent. Solar-powered units contain a rechargeable battery (to facilitate nighttime operation) as well as interchangeable fan blades, which allow them to be used as either an intake or an exhaust. Passive systems rely on the wind blowing over them to either direct air inside or exhaust it depending on their type and orientation to the wind. Traditional cowl vents, clam shell or scoop vents, louvered hatch boards, and low-profile discs (aka mushrooms) are typical examples of passive vents. They work best when installed in opposing pairs and, while they can move a surprising amount of air on a breezy day, they don’t perform well on days with little or no wind. 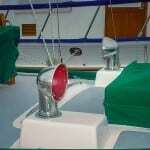 Efficient air flow below deck requires both intake and exhaust vents. A single intake can’t force air into a boat against pressure any better than a single exhaust can remove it against a vacuum. Assuming a boat is oriented head into the wind—as is typical while at anchor or on a mooring—opening a forward-facing hatch channels air below decks, much like an air ram. Conversely, an open companionway door or aft-facing hatch acts as an extractor, pulling air from below deck as the wind passes over it. 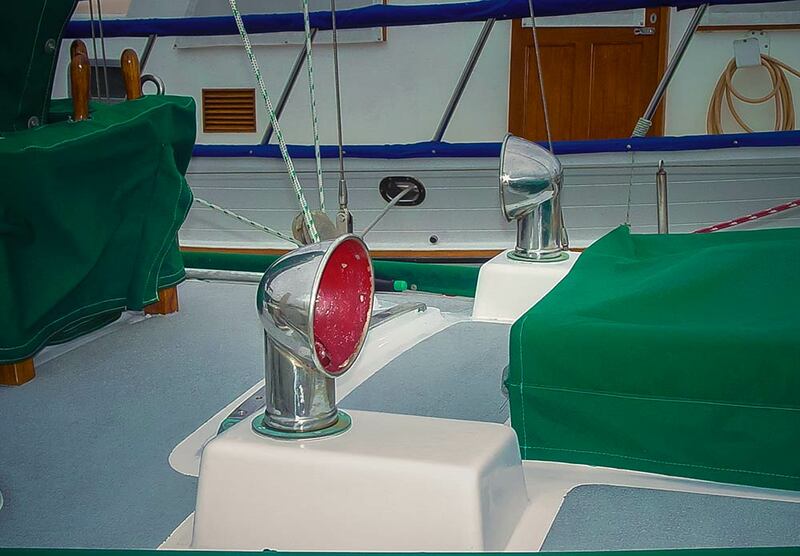 Adding a wind chute to your hatch provides even greater funneling ability—as will portlight scoops—which help direct those cooling breezes down below through vertical portlights. Boats at the dock can’t orient themselves to the wind, an additional ventilation challenge. Wind chutes can be repositioned to the sides or rear of a hatch to help funnel air below deck, while some traditional hatches can be opened on all four sides (a boon in this situation). A tarp or canvas cover rigged over a partially open hatch keeps rain out while providing ventilation, although the air flow will be less than that of a fully opened hatch or one using a wind chute, which typically can’t be used in conjunction with a tarp. 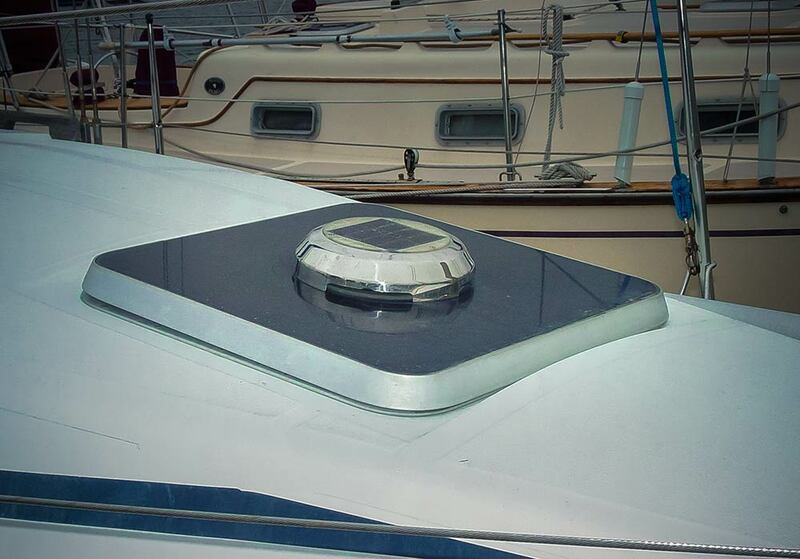 One innovative solution to the tarp or wind chute dilemma is the Hatch Hoodie Wind-Scoop Awning from Banner Bay Marine (bannerbaymarine.com), which combines the protection of a hatch awning and the functionality of a low-profile wind scoop. A well-designed ventilation system should exchange the air below deck roughly once every hour. 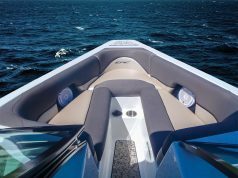 Let’s say you have a mid-sized boat with an interior volume of around 1,400 cubic feet. 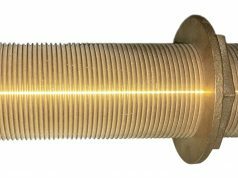 Airflow ratings for passive vents range from 350 to 600 cfm (cubic feet per minute). As intake volume should equal output, based on the above we would need a minimum of four similarly sized vents—two intake, two exhaust—to provide adequate ventilation. If using two active vents, they should be matched with two passive vents. If four passive vents are installed, they will automatically adapt to intake or exhaust mode as needed (with the exception of improperly aligned cowl vents). 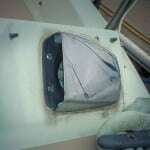 Vents should be arranged to provide as much cross flow inside the cabin as possible. 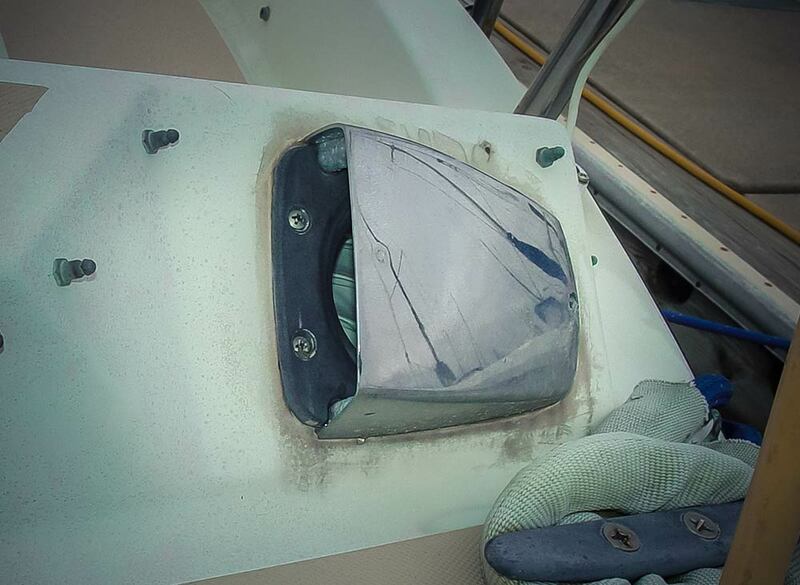 Passive vents should be mounted in pairs at opposite ends of the boat—to the extent possible—with one facing forward and the other facing aft, which provides an intake and exhaust regardless of wind direction. A combination of passive and active vents provides the same effect with varying wind directions or no wind at all. 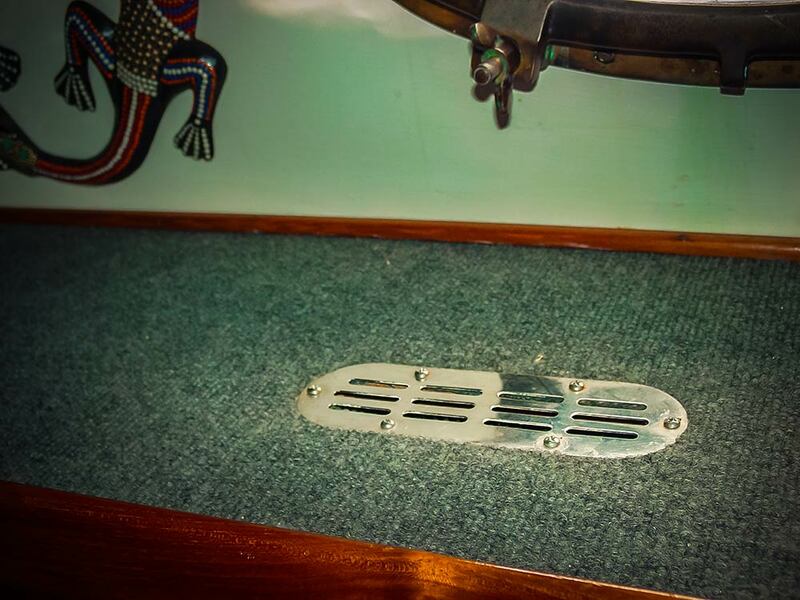 While the four vents in the previous example will theoretically provide enough fresh air, in real life the space below-decks will be broken up into numerous compartments that will restrict airflow throughout the boat. As such, simply installing the correct size and number of vents may not be enough to get the ventilation job done. Equally important is the ability to move the fresh air directed below deck throughout the vessel’s internal spaces, particularly if they can be closed off from the rest of the boat—cabins and heads are a prime example. Nothing improves ventilation like a few well-placed electric fans. They make a hot bunk bearable, remove heat from the galley, help reduce odors, and keep moisture down in the head/shower area. Unlike the noisy, power-hungry units of yesteryear, today’s fans are both quiet and efficient.